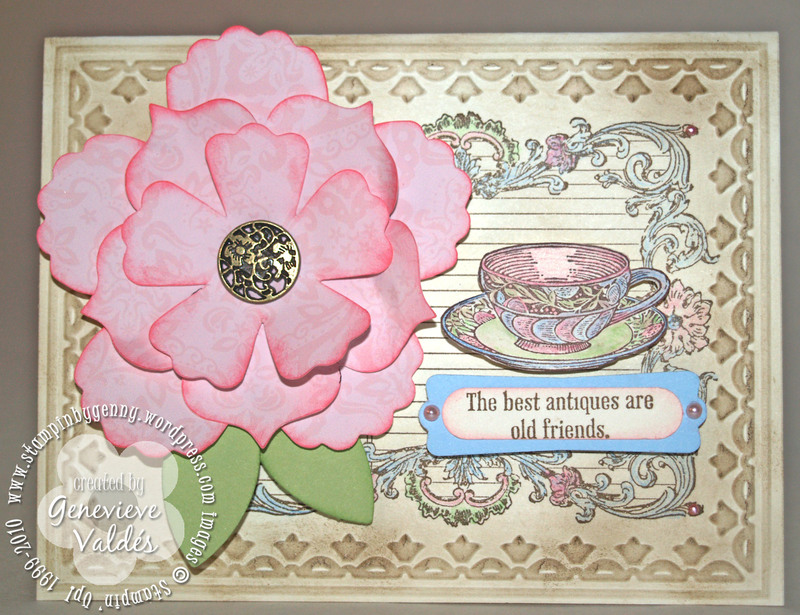 This week at Hand Stamped Sentiments we have a Color Splash Challenge. Use the colors of Pretty in Pink, Certainly Celery and Bashful Blue to create a card or paper project. A few weeks ago I received the stamp set Timeless Treasures from my dear friend Amy. I’d been dying to use it so I created this card. Although we met about two years ago through Stampin’ Up! I feel we’ve been friends for a long time. The same goes for my other stamping friends. 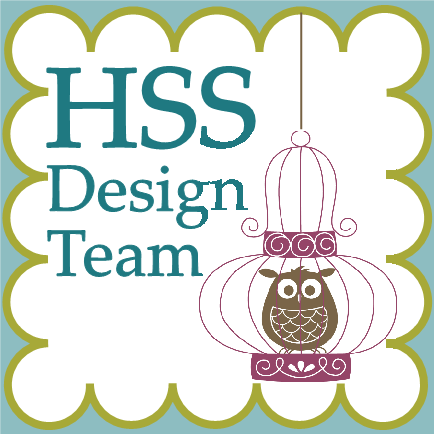 I’ve made such wonderful friendships through Stampin’ Up! So this card is dedicated to all of my stamping friends. I am so fortunate to have them in my life. So pretty Genny, I love the way the pink pops on the subtle background! This is so pretty! Love the vintage look of it. Lovely card. Reminds me of the tea shops I used to visit in West Hills. Great touch using the DSP for the flower.